This was everything I had hoped it would be. Really delicious. For a while I avoided Milk stouts as the first one I had a few years back was horrible, but this is the third one this year and they have been much nicer. 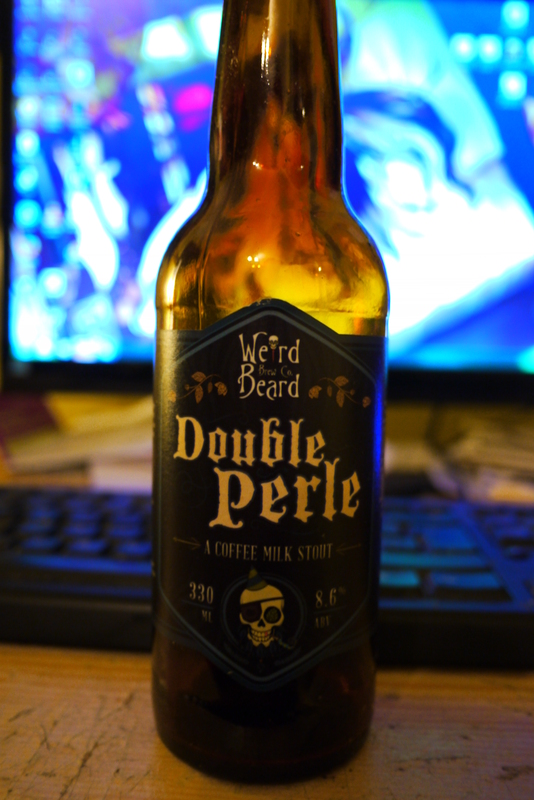 This one is also a coffee milk stout so it also has a bonus to it. I dont drink coffee but I do like coffee beers. And this one is no exception. The aroma is what you would expect, chocolately, dark fruits though a gentle note and coffee, good coffee at that. The taste is the same but with a little milky taste, with spice, roasted coffee and has enough going on while maintaining balance. The texture is really pleasant, quite medium body, not oily and leaves the same aftertaste as the main taste to be honest. You will never forget what your drinking the whole time. 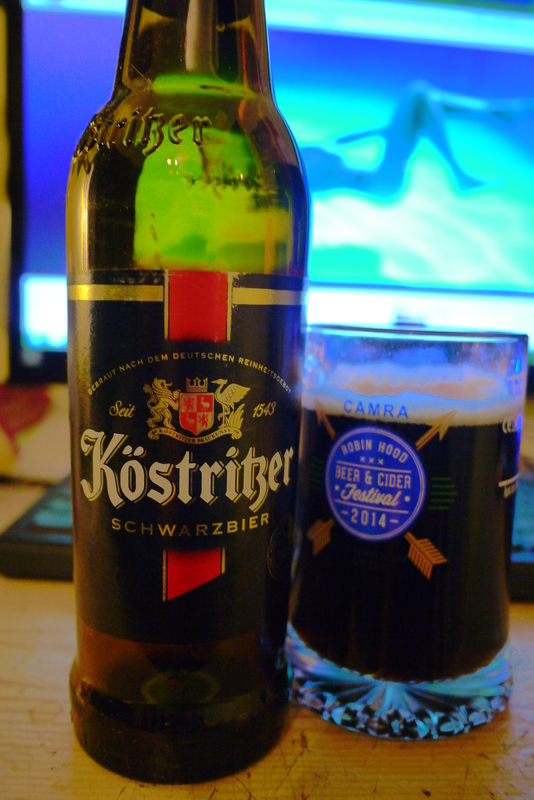 Can already say that this reminds me of many other dark german beers, Krombacher Dark comes to mind, though it is not as carbonated as this Schwarzbier, so its comes across a little bit more lager like than I would like. having said that I am constantly reminded every sip that this is a very well balanced drink. Not too sweet, bitter, sharp or clingy. 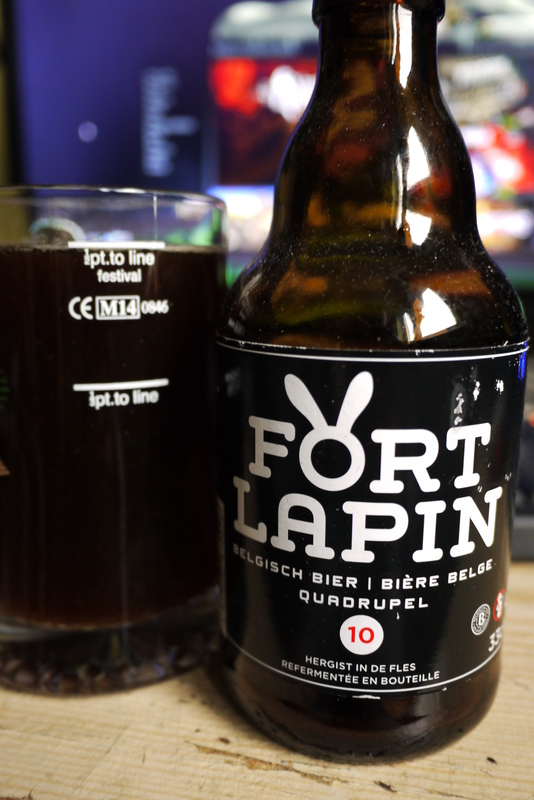 Will admit that while the alcohol strength is there, feels more like a 7%, its not that it is a dominant aroma and taste, it just has nothing much else to work with. For a quadruple beer it is quite uncomplex. The texture is also quite thin and just smooth enough. Very low carbonation with no head whatsoever. 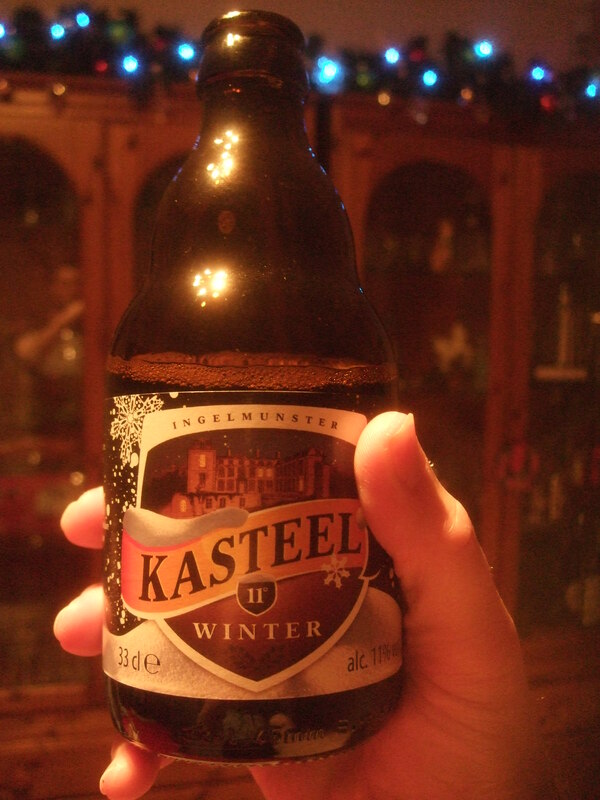 The aromas is does have are alcohol, liquorice, mild mild spice and a little sweetness. The taste is similar with a touch of raisin. With a light bitter finish with the alcohol hanging around for a bit. Now here is a strange turn off events. I have walked past this brewery as I have recently started going to Archery. This beer was ordered back in november when I had no idea I would start archery or be anywhere near there. Mind blown. The aroma has smoky wood notes, caramel is the slightest with a smidgen of charcoal likeness. While the taste is smoky. Okay its also got a dark fruit going on, roastyness and smokyness. Just enough carbonation. The finish is not that harsh though, pleasantly bitter enough. 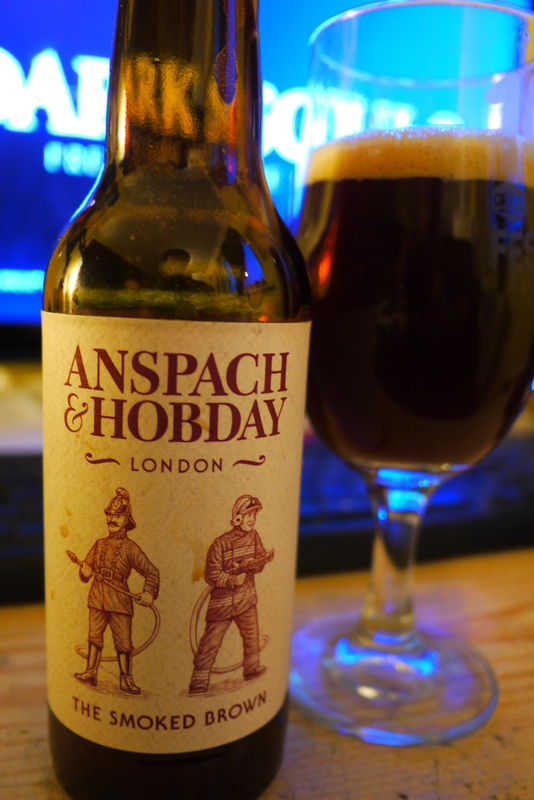 I dont find it anywhere near as smoky as Aecht Schlenkerla Rauchbier Märzen, a favourite beer, but Anspach and Hobday has its own charms. It is quite boring in taste, aroma and texture. 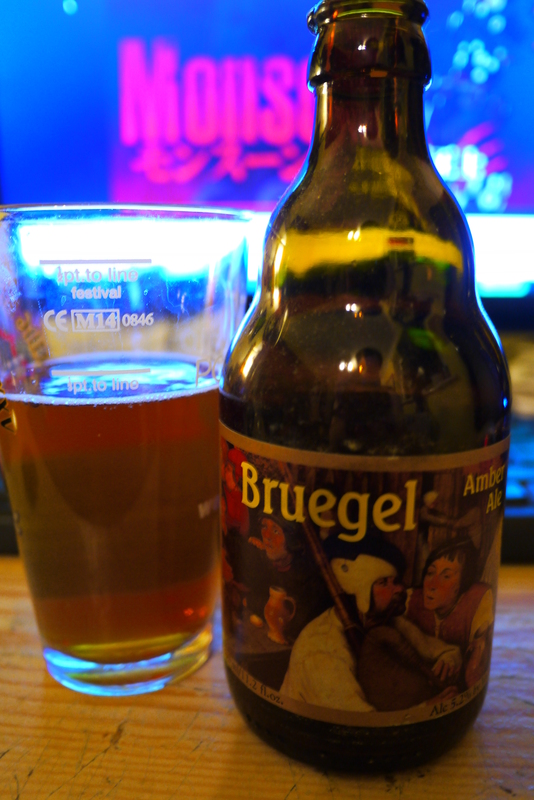 A bit like a Newcastle brown but a little different, same level of carbonation now That I think about it. And colour. Very brown ale like.